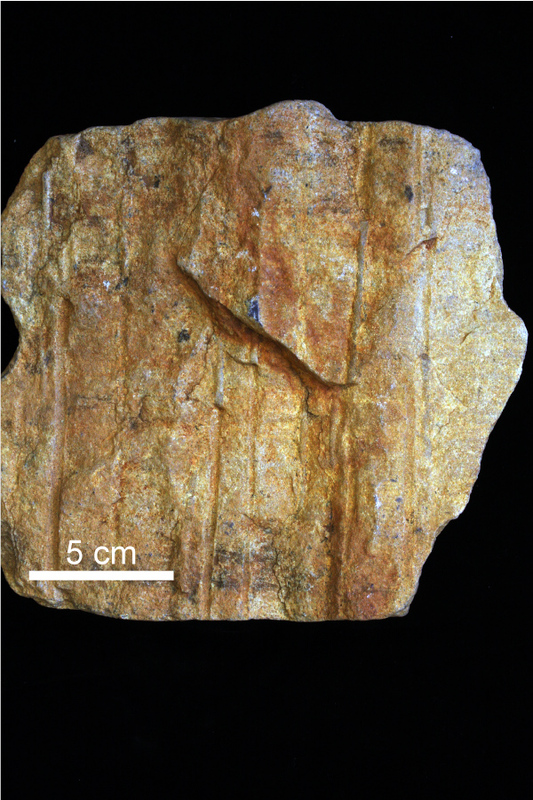 *scroll over the highlighted rocks for enlarged pictures of samples found throughout Virginia. 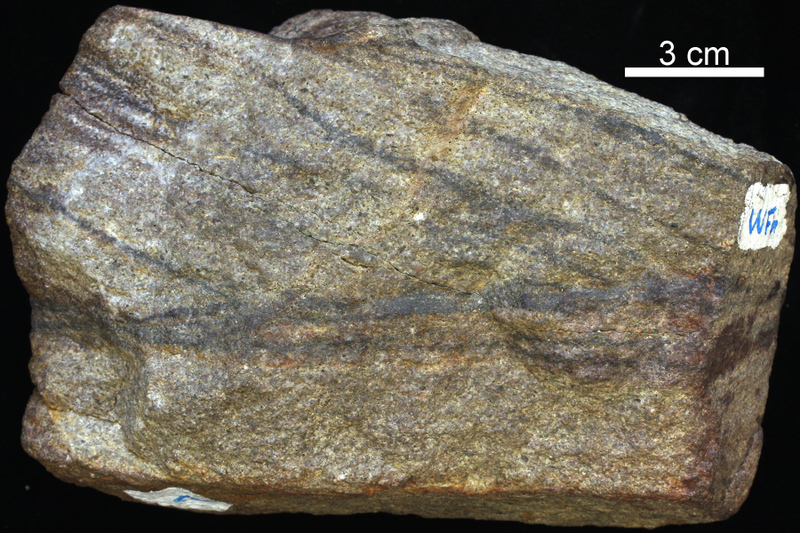 Igneous rocks have either intrusively or extrusively cooled from molten rock. 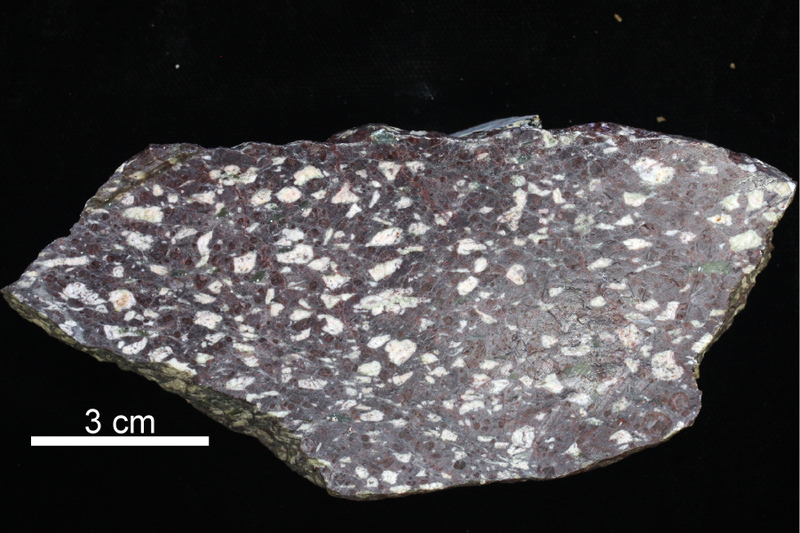 When igneous rocks cool extrusively, their grain size is small and have a homogenous appearance to the naked eye. 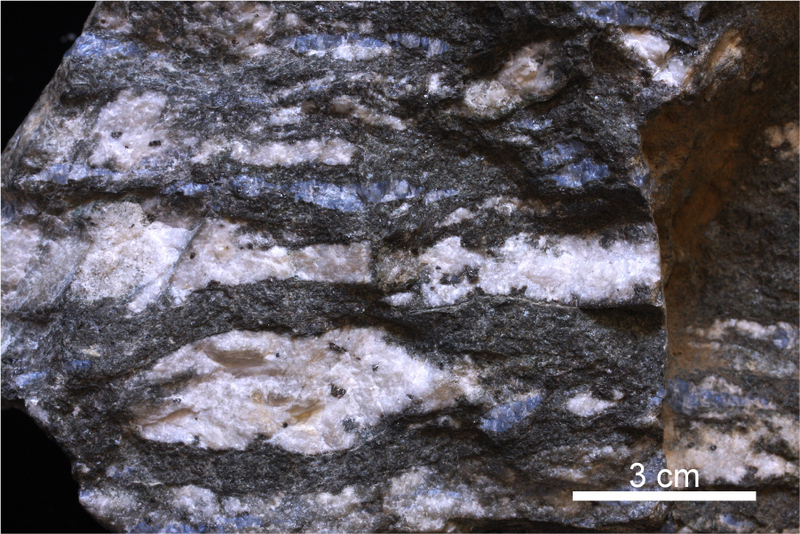 Extrusive rocks can be felsic, like rhyolite, or mafic, like basalt. Pumice and scoria are rocks that have been ejected during a volcanic eruption and are typically vesicular. When molten rock cools intrusively, the different minerals within the magma collect together and the individual minerals become visible to the naked eye. 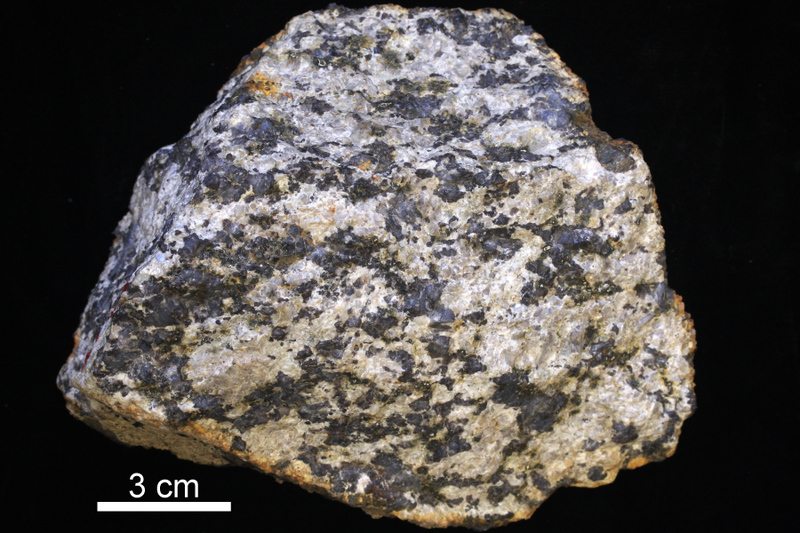 Granite is an example of a felsic intrusive rock, while gabbro and diabase are examples of mafic intrusive rocks. Quartz sandstone with cross beds. mudstone, and siltstone are fine-grained sedimentary rock that are primarily composed of clay minerals, quartz, and calcite. 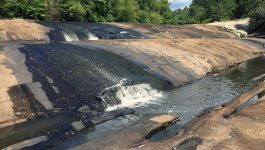 They are typically formed in low-velocity marine environments, such as deltas or floodplains. 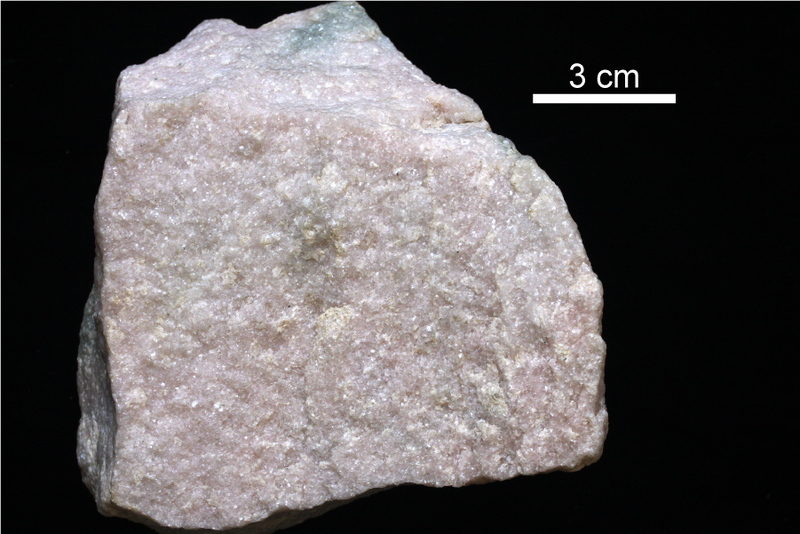 Sandstone is a clastic rock comprised of small quartz grains cemented together and can either be deposited in a terrestrial or marine environment. Gneiss with blue quartz lenses. mylonite, slate, hornfels. Marble is metamorphosed limestone created by contact metamorphism, meaning it is heated through contact by a large igneous intrusion. 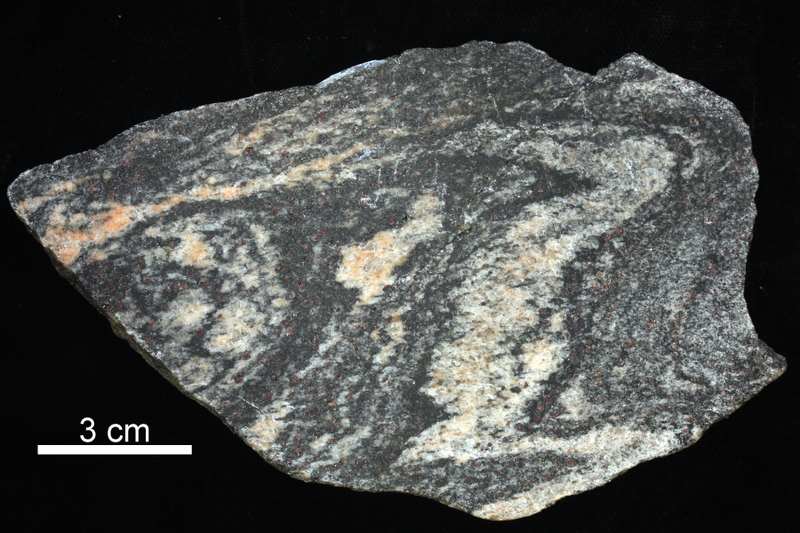 Gneiss is a metamorphosed granite created by regional metamorphism, meaning that it was created through prolonged pressure and usually resulting within a foliation within the rock. 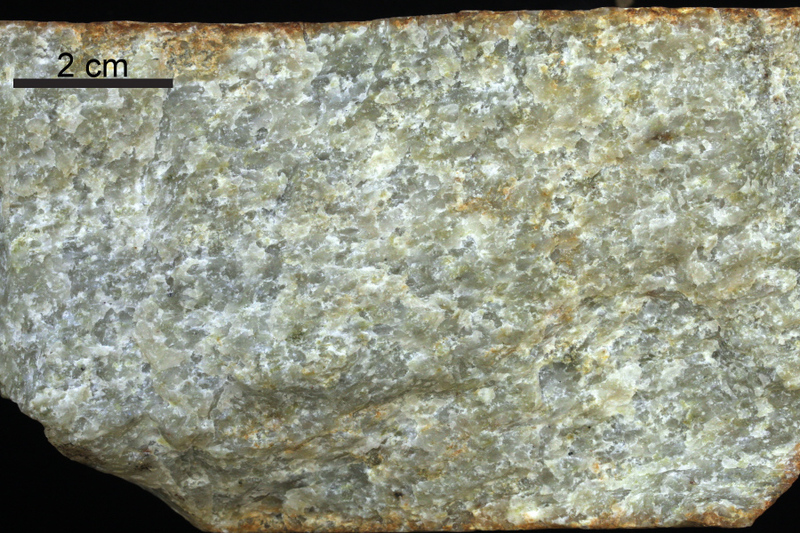 Quartzite is a metamorphosed sandstone created by either regional or contact metamorphism. 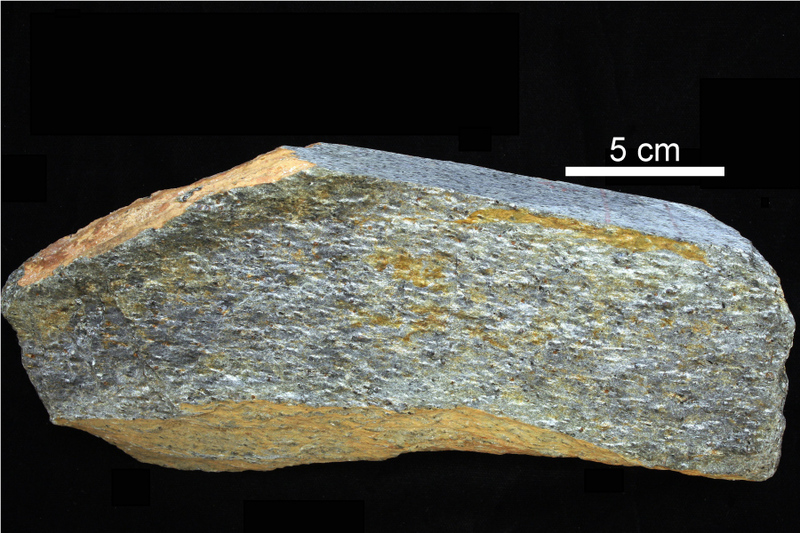 Mylonite is a high-grade metamorphic rock that is characteristic of a high-shear zone and usually has an igneous protolith. 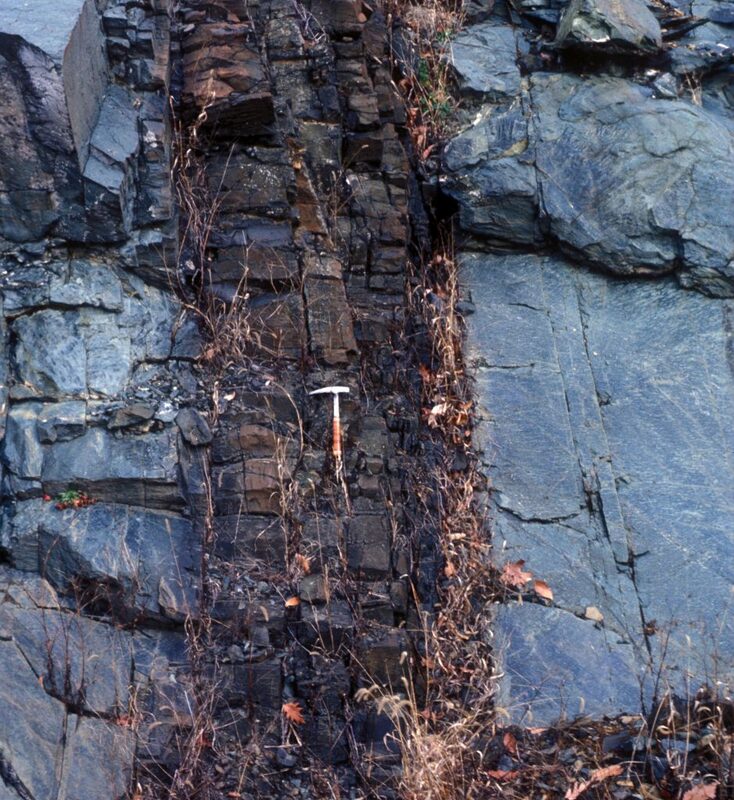 Slate is a regionally metamorphosed shale and through further metamorphism progresses to phyllite, schist, and ultimately gneiss. Hornfels is a metamorphic rock that experienced contact metamorphism with its protolith being either a shale or mudstone. 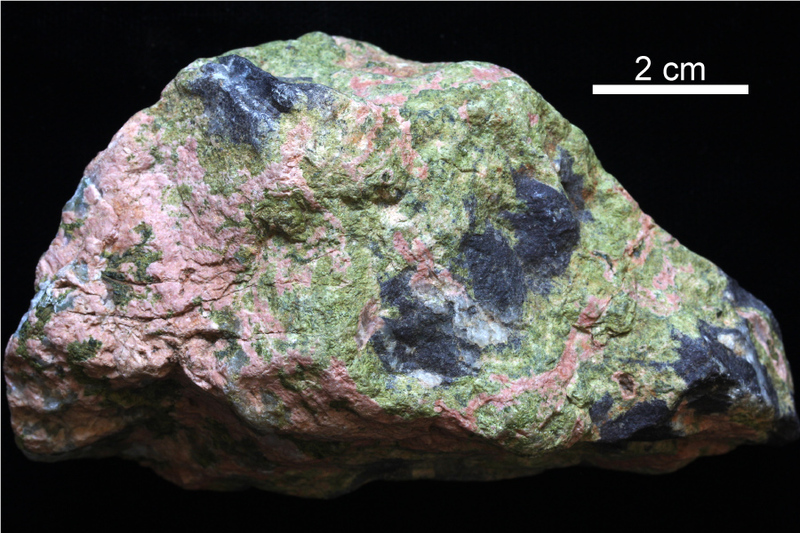 Unakite, an altered granite that gets its mottled green and pink coloring from orthoclase, epidote, and quartz. Below is an image depicting a simplified rock cycle including where in Virginia those types of rocks are common.